We are all looking for simplicity when it comes to the way we shop whether at home, in store or on the go. This app offers the perfect combination of security and convenience, safely storing payment and shipping information so that consumers can spend less time checking out and more time enjoying things they love. The DStv app will ensure you don’t miss your favourite shows. It is an ultimate guide to DStv which features all the latest highlights, news and a full 10 day schedule and allows you to elect your favourite channels, set reminders for shows and share what you watch on social networks. Going to the bank to do banking should be a thing of the past. The FNB Banking App provides you with the freedom to bank when and where you choose. 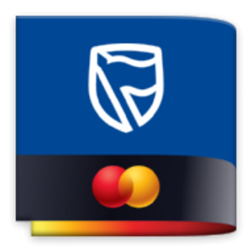 The app performs all your traditional banking transactions eg. Making payments and adding recipients, doing transfers between your accounts and viewing account balances and transaction history. All at the palm of your hand! Water is a scarce resource and everyday people are encouraged to consciously save water. With One Drop of Life, learn while having fun about the importance of water in our world. Navigate your drop to water the crops, but be careful not to have it contaminated! Interesting facts are provided throughout the game to help you learn more about water issues worldwide. 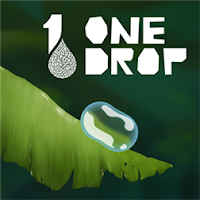 Share with friends this great game and help ONE DROP raise awareness about water issues that affect the daily lives of so many. Want to keep track of your account payments and have access to your account information? WFS is an app that allows Woolworths Cardholders to do just that using a mobile phone. If you are working towards that fitness goal and need some assistance and encouragement to get there, miCoach train and run app is the best companion to help you do that. miCoach works with adidas top athletes and coaches to offer the best in training - building speed, endurance, and strength. 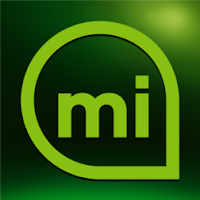 This version now supports the adidas miCoach Fit Smart device! The app gives you access to hundreds of strength & flex exercises to achieve your fitness goal. Now here is a game that will grow on you. Explore this little game’s deep challenge and grow your mind beyond imagination with endless challenge from one simple game mode, an endearing cast of characters, a heart-warming soundtrack. VCpay is the only app you’ll ever need to pay online! Instantly create anywhere, anytime Mobile Virtual MasterCards® using your phone. Mango Airlines Booking and viewing your flight can be a simple process with the Mango App. The Mango app is your gateway to South Africa’s most innovative airline. Mango offers on-board Wi-Fi, consistent on-time performance, affordable airfares and app functionality that allows you to book and view bookings in an offline mode and receive specials and promotions. Download it today. Music is a universal language that has a special power to move us and stir our emotions. Get yourself unlimited access to 27 million tracks - anywhere, anytime. Simfy Africa gives you access to all the top International artists as well as the biggest range of South African and Africa music. Some of these apps I have also talked about earlier also but these continue to grow as they are downloaded the most in the smartphones that are taking the market slowly and steadily amongst all the competition. I still want to own the Lumia 1020 for it's awesome camera capabilities. Check more info on Microsoft twitter and facebook pages.